What is Sushi? we just added cannabis......... Sushi is popular around the world, but that doesn't mean everyone understands what this dish is. For one, sushi isn't the same thing as raw fish, which it is often described as. Rather, raw fish, known as sashimi in Japanese, is the most popular ingredient in sushi. So what is sushi? It surprises Westerners to find out that the term actually refers to foods that use a type of rice seasoned with vinegar. 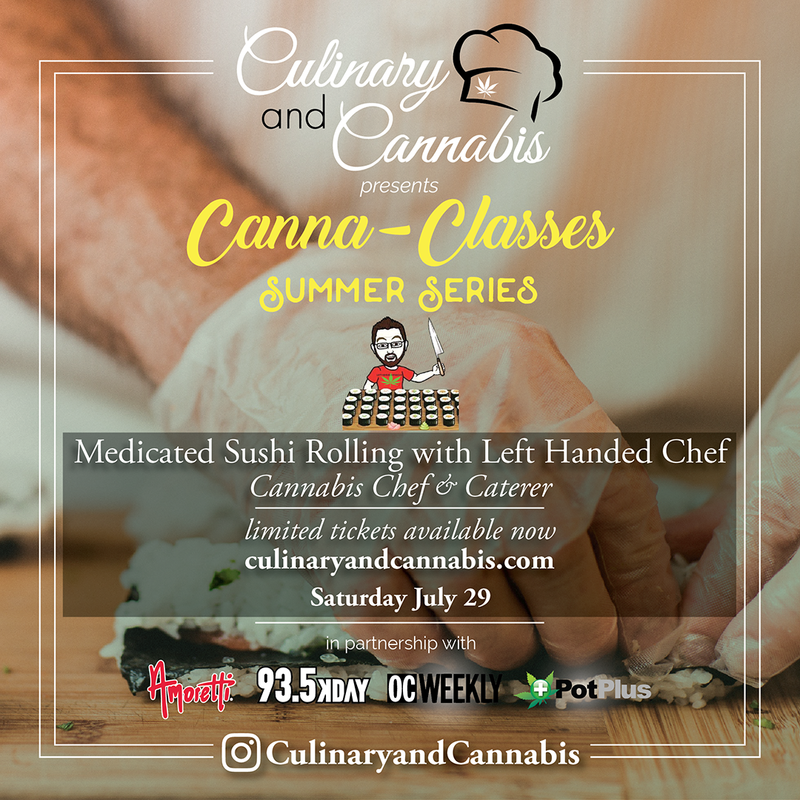 Come Meet Chef Frank of Left Handed Chef and let him teach you one how to make sushi and second how to infuse it with cannabis with proper calculation and dosage in each bite. #CnCClasses to track the stream of photos from our Canna-Classes!